Home / Amazing / News / Viral / Isang Manika ang Pinagkaguluhan, Ngunit ng Malaman nila ang Sekreto nito ay Na-Inlove sila dito! Isang Manika ang Pinagkaguluhan, Ngunit ng Malaman nila ang Sekreto nito ay Na-Inlove sila dito! While many people around the globe get creeped out because of the scary doll movies like “Chuckie” and “Annabelle”, in Japan, an unusual fashion trend is beginning to take a leap in the modeling scene. 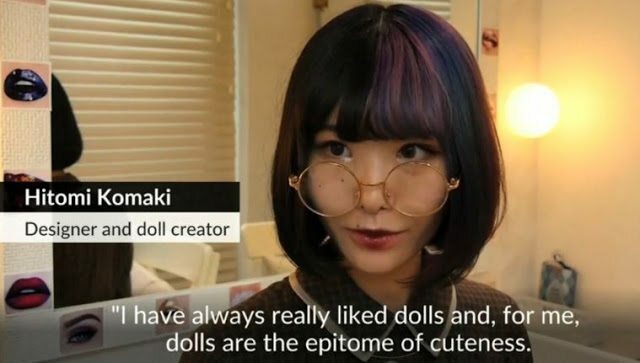 Meet Lulu Hashimoto, a “living doll” and practitioner of the latest trend in Tokyo’s fashion modeling scene. She wears a full-body doll suit consisting of a wig, a mask, and stockings patterned with doll-like joints. “Kigurumi” is a popular art form in Japan that features people dressing up like mascots. However, fashion designer Hitomi Komaki decided to take this form of art to a whole new level. “I have always really liked dolls and for me, the epitome of cuteness is dolls. Many people call my project a fetish, but for me, it’s not a fetish but fashion. “It’s like wearing nice clothes or putting on false eyelashes to become cuter,” Hitomi said. While popular among fans of Japanese subculture, Lulu is now turning heads at the annual Miss iD beauty pageant where she’s among the 134 semi- finalists chosen from around 4,000 entrants. If you are to wear a fictional character suit, who would it be and why? Share the details with us and tell us why by writing in the comment box below!